Does Purchasing Fractional Real Estate in Breckenridge, Colorado Make Sense? For the discerning buyer wanting luxury real estate in Breckenridge, Colorado, fractional real estate makes perfect sense. At a fraction of the price of whole home ownership, with none of the hassles, fractional real estate is the answer. It is a deeded sale, which differs from a time share where one basically rents the right to use the property. Fractional real estate creates the opportunity to purchase some of the most sought after real estate in Summit County, Colorado at a great price without the hassle. Grand Lodge on Peak 7 is the perfect choice. 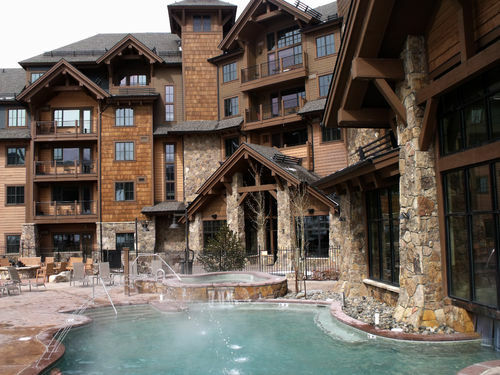 Completely luxurious accommodations with ski in, ski out access to Peak 7 and some of the finest skiing in the world. The condos offer suites to four bedroom, four bath units with two fireplaces and vaulted ceilings and magnificent views of the slopes. The amenities are unmatched, and usually do not come with a single unit dwelling, including steam room and sauna, salt water pools & hot tubs, theater, fitness room, restaurant, piano lounge, concierge, and full service spa. The fractional real estate ownership opportunity sells very rapidly, and because of high demand, prices will continue to rise. The time to take advantage of this magnificent real estate in Breckenridge, Co. is right now! View featured properties by clicking HERE. This entry was posted on January 24, 2013 by elevatemarketingaz. It was filed under Uncategorized and was tagged with Breckenridge Colorado, Breckenridge Colorado accomodations, Breckenridge Colorado condos, Breckenridge Colorado skiing, Breckenridge luxury condo sales, Grand Lodge on Peak 7, luxurious condos, ski out real estate breckenridge colorado, ski_in_ski_out Breckenridge condo, Summit County Real Estate.